Effective July 1st, 2019, California school immunization regulations will change, which includes requiring all students to have a second varicella or chicken pox vaccine. Please submit verification to the school nurse that your student is up to date on vaccinations. Beginning in August, students will not be permitted to attend school unless all vaccinations are up to date. Please call 384-5555 if you have any questions. If you experience bullying, sexual harassment, or other harassment, notify any staff member. TIP 411 is an anonymous tip line to alert administration of bullying and other threats to the safety and well-being of our students and staff. Text Wolves + your anonymous tip to 847411 or call 398-3247 to report to school administration directly. For more on harassment and discrimination assistance visit our district web page, MUHSD Harassment and Discrimination Assistance. The City of Livingston Water System has Levels of 1,2,3 – Trichloropropane (TCP) are above the drinking water standard. The City of Livingston's water system has recently violated a drinking water standard. Although this is not an emergency, as our staff, students and parents, you have a right to know what happened, what you should do and what the City is doing to correct this situation. Click HERE for more information. Remember, if you See Something, you need to Say Something! All messages are confidential and anonymous. 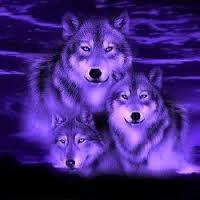 Text "Wolves" followed by your tip to 847411.